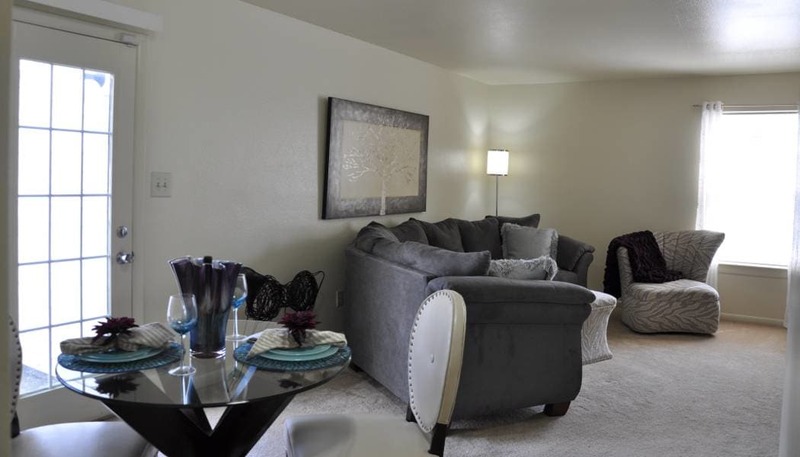 The Townes at Jones Run offers you the best in affordable townhome living. But that doesn’t mean sacrificing the modern comforts you need for living your best life. Our pet-friendly townhomes in Newport News, VA, have all the special touches that make your space a home. Love to cook for friends and family? Enjoy plenty of space with your eat-in kitchen, equipped with a dishwasher for easy cleanup, as well as your separate dining room. Some homes also feature a breakfast bar when you want to make meals a family event. Worried about adequate storage? Don’t be. Your new home offers abundant storage with walk-in closets and a large storage room on your private patio. Looking for a place you can relax at the end of the day? Enjoy a soak in your renovated bath with brushed nickel fixtures, catch a sunset from your private patio, or stroll the paths around our manicured grounds. Explore all that The Townes at Jones Run has to offer. Call us today to schedule your personal tour. When you’re looking for more from your new home, The Townes at Jones Run has the community amenities that elevate everyday living. Enjoy a dip in the sparkling pool or catch some rays on the sundeck. Take the kids to the playground and enjoy a picnic lunch at the tables nearby. Work up a sweat in the fitness center with cardio and weight machines, as well as free weights. Head to the clubhouse for coffee and easy lounging. Let the dogs play in the on-site dog park when they need to run. Keep your car looking as good as new with convenient carport parking.